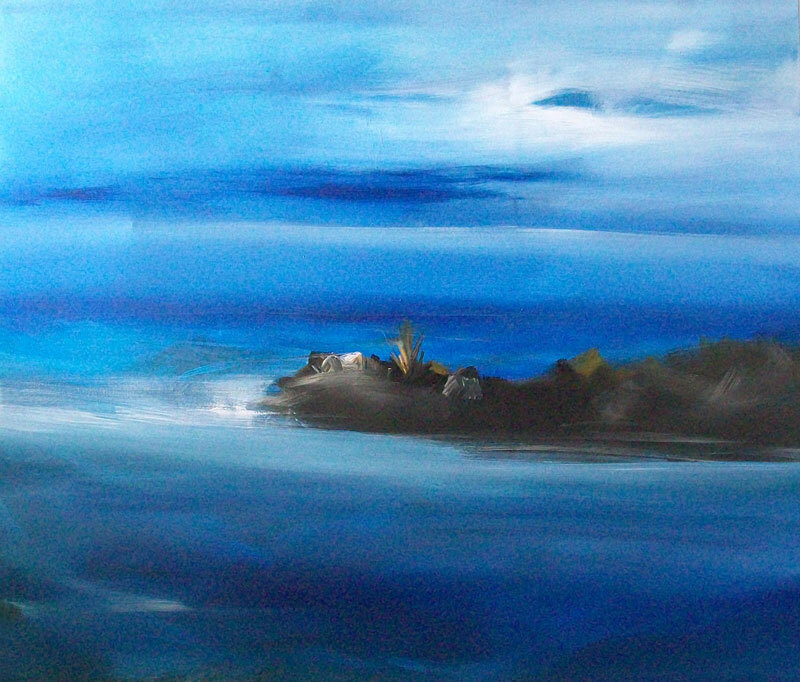 “The anarchic sea of Vangelis Tzermias with its dense untamed blue colour, worked with violent gestural brush strokes, is often a furious element where the imaginary ships of his inspiration are fighting”. 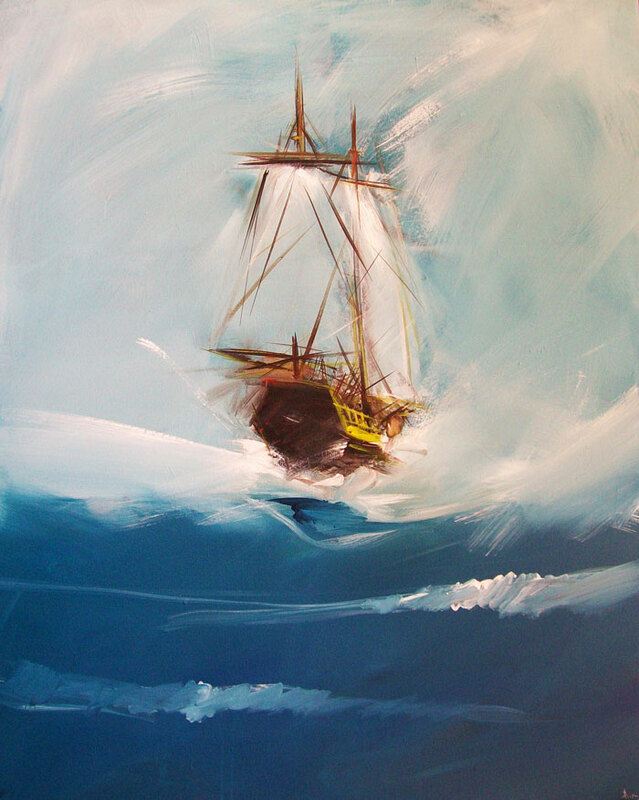 The blue of the sea, the intensity that conveys the movement of ships in the foam and the battle of the mast with the wind are exploited allegorically and worked with poetic mood at the painting works of Vangelis Tzermias, giving to the traditional theme of seascapes new life with strong expressionistic mood. 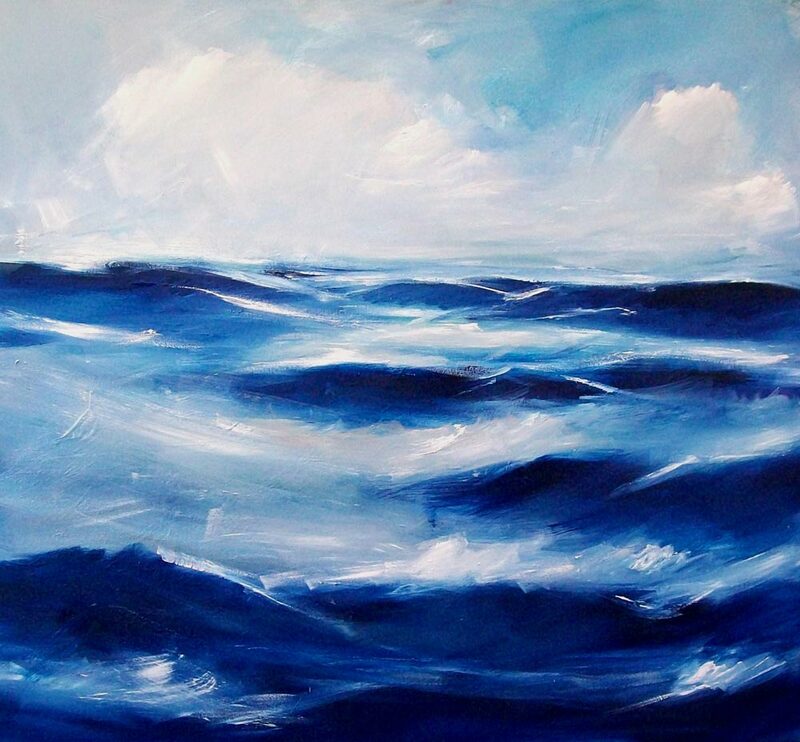 Paintings, travel us on sea roads urging us to see the world from another angle between earth and sky. 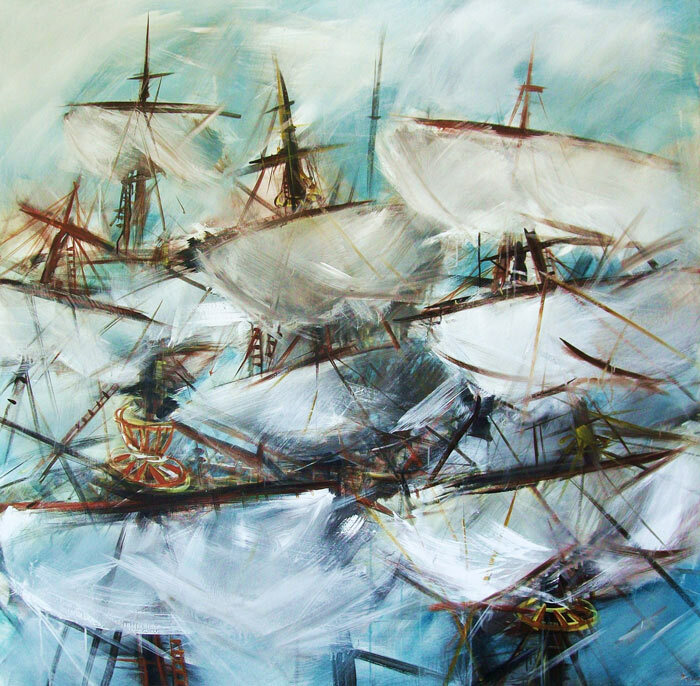 The artist’s ships are sailing sometimes calmly and sometimes to hostile sea. 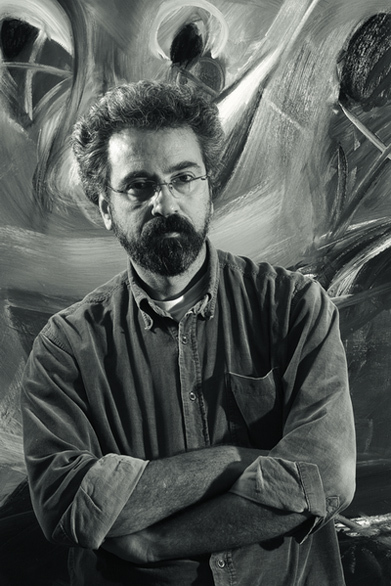 He studed painting at the Athens School of Fine Arts – ASFA (1980-1985) with Professors D. Mytaras and E. Dekoulakos, two of Greece’s most prominent artists and academics. of Kallithea, and in many private collections in Greece and abroad.